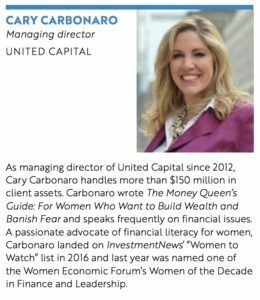 The New Yorkers named to this inaugural list of Notable Women in Finance in New York City are pioneers and leaders in the world of finance. They are founders, managers and executives. 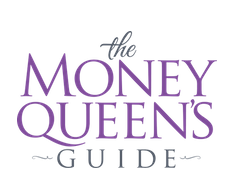 In addition to their careers on Wall Street and beyond, many of these women are engaged in exceptional philanthropic activities, ranging from sitting on the board of major cultural institutions to working as mentors, championing diversity and boosting the careers of other women. By highlighting these women, Crain’s is acknowledging a talented group whose members are defined by more than their gender. They are remarkable first and foremost for their achievements and commitment to excellence in the financial industry. That’s especially noteworthy, given that not long ago, women weren’t even able to take out business loans—let alone run the institutions that provide them. In fact, this year marks the 30th anniversary of the passage of HR 5050, the Women’s Business Ownership Act, which ended discriminatory lending practices that favored male business owners, including laws that required women to have a male co-signer on business loans. “In some cases, women couldn’t even buy a car, even if they were going to pay cash,” said Beth Goldberg, district director of the U.S. Small Business Administration. Three decades later, women own about 30% of all the small businesses in the United States, contributing $1.7 trillion to the economy. 18-year-old son—are now women themselves. Professionals whose resumes boast outstanding achievements in the industry and substantial community involvement. Our list begins with nine trailblazers who have achieved business success and paved the way for women in the industry—and continues with the full list of notable honorees whose stories are equally inspiring. As the year goes on, look for future installments in this series, which will recognize notable women in a variety of industries.